This Module provides you with a background on the development of security and risk, analyzing the often contested terminologies and policies that are used within this area. A special focus will be given on the theoretical, empirical and methodological state-of-the-art of conflict management and -resolution and the role of non-state actors and international organizations. You will deal with broad theoretical concepts as well as with practical examples from the recent years. You will be familiarized with conventional approaches to security politics as well as with new concepts, their advantages and risks. You will get the possibility to discuss and analyze different security mechanisms and their success or failure in different conflicts worldwide. You will be provided with practical skills concerning active participating in controversial discussions, presenting and supporting your own arguments, treating complex theoretical and practical questions and developing your own hypothesis. Writing an Essay on the Topic “Securitizing Risk” and discussing it with other participants. Developing concise research statement on the topic “Explaining War”, presenting it and evaluating critically research statements of other students. Preparing the final research paper about a particular conflict, based on your previous work. The final paper can only be submitted if the previous tasks were passed. This unit provides an overview of the module and gives an introduction to security studies as an academic sub-discipline. It clarifies its relationship to political science and international relations and makes clear that approaches to security and risk are determined by both external political events and internal theoretical debates. How did the field of security studies develop as academic sub-discipline? How did internal and external political factors affect its development? How does the advent of risk challenge security policy today? describe how the concept of security has developed over time. Why can scholars of international security not agree on central definitions? 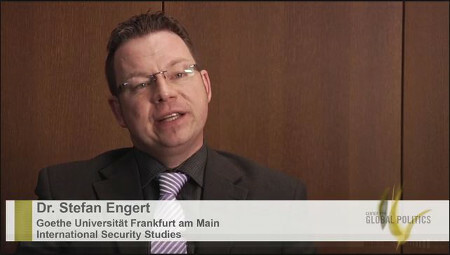 How can a terminology of security studies be developed? What is the driving force behind the conceptual extension of ‘security’? How do actors, structures, and processes interrelate in international security? What are structural theories compared to actor theories? What are levels of analysis? What is the difference between explaining and understanding? assess the merit of structural theories of international conflict. Are human beings naturally aggressive? Are democratic states more peaceful than autocratic states? Under what conditions does the anarchical structure of the international system lead to conflict and war? This unit continues the previous one by focusing on structural theories of interstate war. After completion, you should be able to discuss various system-level causes of war and to assess arguments about why inter-state wars have reduced in frequency. How do structural theories differ from individual and domestic theories of war? Why can anarchy be considered a cause of war? How does the security dilemma contribute to the escalation of inter-state conflict? Is war obsolete? How can we account for the declining number of inter-state wars over time? This unit provides an overview about theories of civil war. After completion of this unit, you should be able to discuss the relative weight of various causes of civil war. What is the difference between big and small wars? How has war changed in the last 50 years? What are ethnic conflicts and how can they be explained? Do ethnic conflicts and civil wars have the same causes? This unit provides an overview of terrorism research by discussing conceptual issues, theoretical approaches, and the problems of risk assessment. After completing this unit, students should be able to critically discuss terrorism research as it currently stands and develop criteria for the assessment of anti-terrorist policies. What is terrorism and how can it be distinguished from guerrilla warfare? Why do both scholars and politicians find it so difficult to agree on a definition of terrorism? What are the main issues discussed among terrorism experts? How can the risk of terrorism be assessed? This unit provides an overview of the development of conflict management instruments since the 19th century. It demonstrates a close relationship between political events, theories of international relations, and conflict management mechanisms. The relationship and combination of political and military conflict management is stressed. How has the tool kit of international conflict management changed since the Congress of Vienna? Which conflict management style is favored by each of the three main paradigms of IR? What is the purpose of diplomacy? How has the image of war changed? This unit discusses the concepts of defense, deterrence, and arms control. It shows how deterrence emerged as a central conflict management instrument during the Cold War and how arms control helped to stabilize the bipolar international system. It also aims to show how mediation and international accords are employed in modern conflict situations to help resolve them. What is the difference between defense and deterrence? Under what conditions can nuclear deterrence work? What is the difference between arms control and disarmament? How has arms control changed since the Cold War? To what extent mediation and international accords can contribute to modern conflict resolution? This unit discusses the nature of coercion in international politics and describes the practices of economic sanctions and military interventions. It demonstrates that “acceptable” behavior in international politics is conditional on the normative framework in place. How do states influence each other? What is the legal basis for enforcement measures and coercion in international politics? What are the conditions for successful coercive diplomacy? Why are sanctions rarely successful? How has the normative basis for military intervention changed over time? This unit explains the evolution of peacekeeping as a UN practice and describes the rules and procedures of peacekeeping throughout its history. It traces its development after the Cold War to include not only peacekeeping but also peacebuilding, which encompasses a wider array of duties. Among these duties, reconstruction efforts will be the focus of this unit. It points out how security institutions can develop spontaneously and how they change through gradual behavioral adaptation to new circumstances. What are the rules and principles of peacekeeping? What are the conditions for success in peacekeeping? How has peacekeeping changed since the Cold War? What are the institutional alternatives to UN peacekeeping? This unit explains the concept of reconciliation and justice in a transitional process from a violent to a peaceful, stable society. It looks at how this is implemented in practice and what the challenges are on both a theoretical as well as an empirical level. The unit aims to show that to truly end a conflict, simply stopping violence is not enough and that a long and arduous process must take place until violent means are no longer an option for post-conflict society. What are its challenges on a theoretical and empirical level? How are justice and reconciliation related? Is reconciliation a valid political concept and if not, what are its alternatives?